In order to make a goal achievable, you have to make it specific. This is often the hardest step because you really need to look inward and figure out why you want to set the goal in the first place and what you’re truly hoping to achieve. I initially said I wanted to write everyday. My goal was definitely not specific enough, and I think my mind interpreted that as YOU MUST SIT DOWN FOR TWO HOURS TO WORK ON YOUR NOVEL, so instead I just did nothing. I’ve amended my goal to something more specific and thus manageable: write everyday for at least ten minutes. I’ve met my goal just by writing the first paragraphs of this post! I have ten minutes to write everyday–those will be days to start blog posts, or journal, or work on other creative projects. Some days I may have more than ten minutes, and those will be novel writing days. My goal is really all about creating momentum, not letting myself stagnate, and not allowing myself to fall into the trap of believing I don’t have time to write. An obvious solution might be getting up earlier and writing for an hour at six in the morning. I’ve given it a lot of consideration, but the reality is I have a toddler. Mornings are not predictable, and I don’t want to set another goal that I know is unrealistic for this season of life. When I made my goal of writing everyday, I forgot about the strategy of first steps. I immediately started with the tomorrow logic. I’ll start tomorrow. I failed to recognize that I had already started because writing about goals is writing, thereby missing my opportunity to continue the chain, which stopped me dead in my tracks. But today is a new day and I have started writing, and tomorrow I’ll keep that chain going and when I’m tempted to stop I will remind myself that ten minutes is always doable and to keep going. Now that I’m in a rhythm getting these words out, I know I need time in my schedule so that I can keep writing everyday. On Tuesdays my parents watch Rory, so I know I can carve out at least an hour between appointments and errands. I just set up a recurring date with a writer from my Nano group, so I will be accountable on Thursday evenings for at least two hours. I also recognize that my goal is flexible enough that it is convenient to achieve. I have a variety of projects I can work on, and I can write on my phone, iPad, laptop, or a journal for ten minutes a day during my son’s nap time. Gretchen Rubin writes and talks about how people can categorize themselves as one thing or another. Are you an abstainer or a moderator? Are you an over-buyer or an under-buyer? Are you into simplicity or abundance? I determined that my need for simplicity may explain why I can’t accomplish all of my goals. Eating vegetables for dinner and writing everyday don’t carry the same importance for me, and yet they were both goals on my list for 2018. I believe in simplicity over abundance, and I would much rather live a simple, happy life where I meet one main goal rather than achieve happiness by completing a long list of to-dos. If writing has a higher priority for me, than I need to give it more thought than I do the vegetables on my plate. I spend hours menu planning and cooking, which is all well and good, but I am no closer to writing. So perhaps I need to rank my goals and make some more of a priority than others. I was talking to a friend about how I am constantly raising the bar on myself so that I can never achieve my goals or even appreciate what I do manage to accomplish. I tell myself that writing a blog post is not real writing, and writing in a journal doesn’t count, etc. I discredit any attempts I make at writing as not legitimate because I didn’t finish my novel today, so I might as well give up, which is a false choice loophole. I need to stop that faulty line of thinking. I am not choosing to write for ten minutes instead of finish writing my novel. Writing everyday for ten minutes is a way of lowering the bar so that I can build momentum with my writing and work toward finishing my novel. It’s very easy for me to make a list of goals and just sort of read them over and over again and see what’s not getting done and get down on myself. Are you guilty of that too? Let’s stop doing that and instead get some clarity about our goals and get to know ourselves better. Which of the four tendencies are you? I’m a questioner, and without even reading this post first, I identified that clarity about my goal was really key. Really think about the intention of your goal, ask yourself some tough questions, peel back some layers. What is the goal? For me, it’s to write daily. Why? Because I’m a writer. If I am truly a writer, I actually have to write. Now that I have more clarity, I can really take ownership of this identity. I AM A WRITER, but I’m not living up to that when I don’t sit down and write. 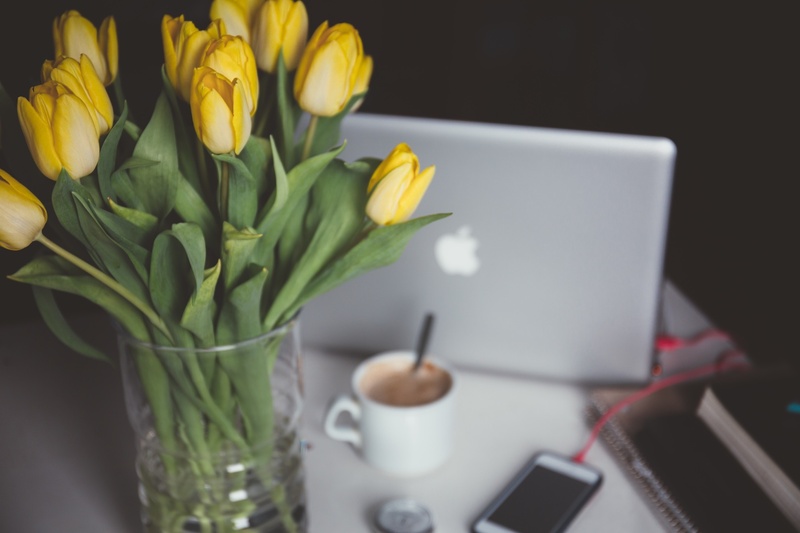 I’m going to write everyday even if I don’t have a freshly made cappuccino and a vase of cheery flowers nearby. What is your goal? Why is it important to you? What do you think is keeping you from meeting it? Why does it matter? What steps can you take to empower real change? 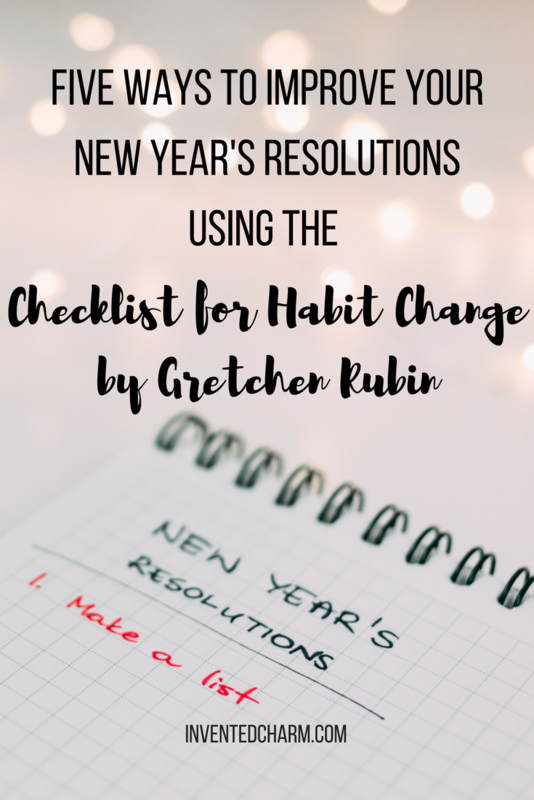 I hope this post will troubleshoot any problems you’re having meeting your New Year’s resolutions! Let me know how it’s going in the comments.